The integrated and organic production systems are broadened with our investment in research and development as a way of obtaining more value for the Cooperative members and to efficiently address the technical challenges in the process. Numerous research centers, both private and public have been developed. An online network has been set up where useful information for the constant improvement of the products and technology that we implement is available for the all of the members of the Coop. 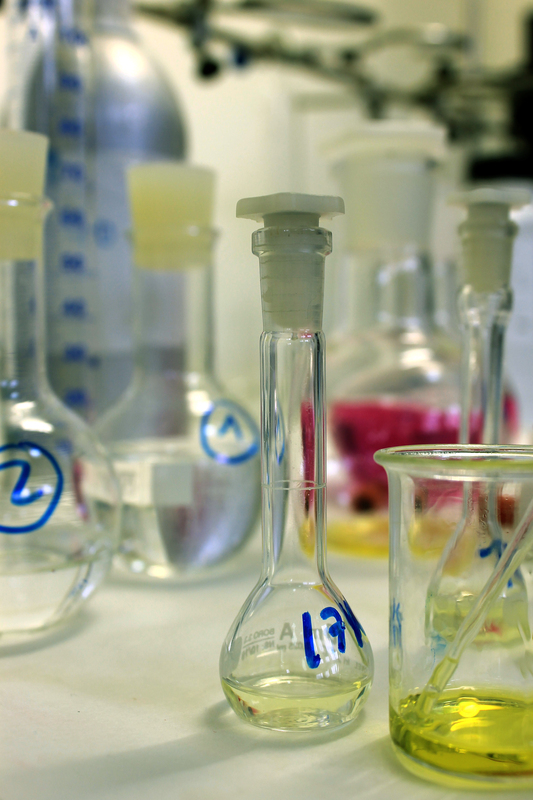 At Oleoestepa´s laboratories, a highly qualified staff uses the latest technology. Oleoestepa is known as setting the international standard for the complete analysis of extra virgin olive oil: chemical, contaminants and residuals and sensory. All of these analyses take place in the permanent installations at Oleoestepa thereby guaranteeing the excellence in the extra virgin olive oils sold under the Oleoestepa brand names. 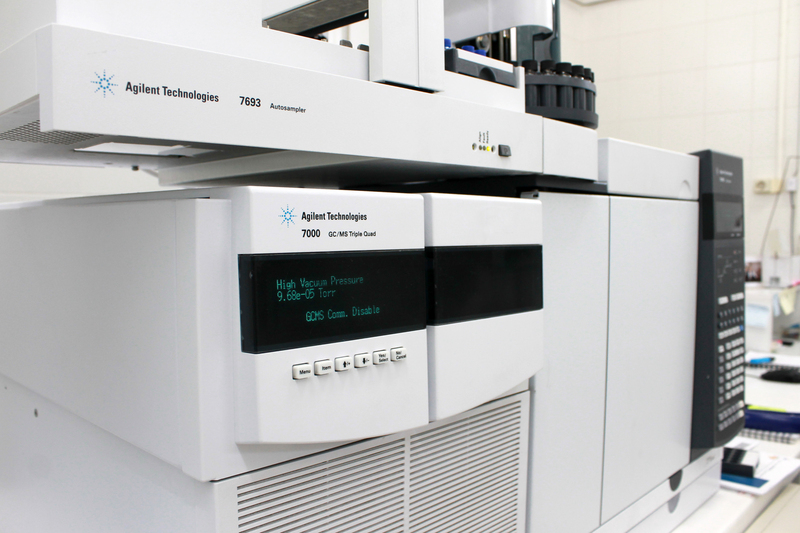 Oleoestepa uses the most advanced machines and technology when it comes to the chemical, physical and residual analysis of the oils. This technology is accredited by the rule UNE-EN-ISO/IEC 17025:2005. It is also officially recognized as a lab by the International Olive Oil Council. Tests are performed to determine the optimal harvest time, using infrared scanners to guarantee a proper extraction. Once harvested, this technology is used to analyze and classify the different oils obtained. In the olive lab, analyses are performed on the output of fat, humidity and acidity of the all samples gathered at the time of arrival of the olives to the mill. The technology used is currently the most advanced available. This same laboratory performs a leaf analysis of the olive trees, which is necessary for proper fertilization. Due to the fact that this area is the largest olive growing region in Spain that uses integrated production, the demands for these analyses are high. Related to the classification process, it is important to note that Oleoestepa´s commitment to excellence means that it places very high value on the sensory analysis. 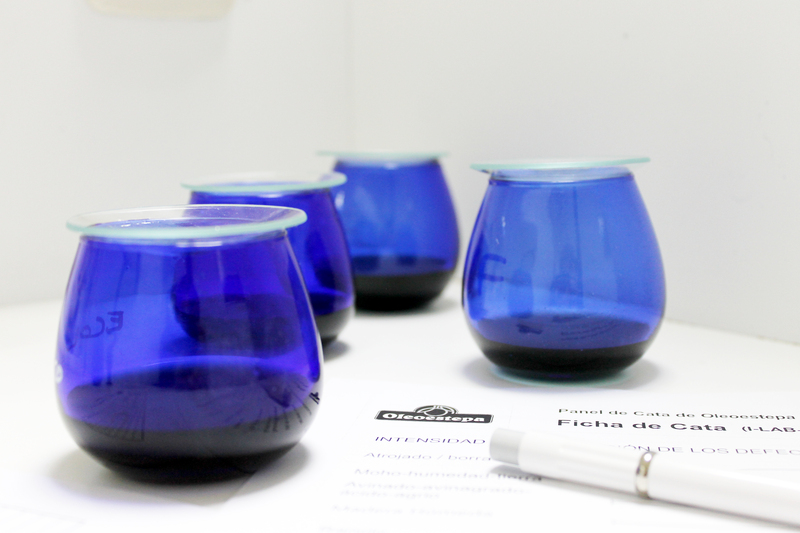 Oleoestepa considers the tasting panel as a key component in order to obtain a high quality, unique and most importantly genuine extra virgin oil. Oleoestepa´s tasting panel is accredited through the International Olive Oil Council , which sets the standards for granting oils a score based a set of criteria. The panel of taste testers currently counts on 40 experts for the tasting analysis, personnel that have been selected and trained by our accredited lab. This accreditation is rule 17025 and s under the rule CE nº 796/2002 y COI T20/Doc. Nº 5 Rev.1 de 1.996 set by the European Union. The olive mills associated with Oleoestepa count on certification of their products, thereby guaranteeing a cold extraction within hours of the harvest. This entire mechanical process assures a continuous fulfillment of all requirements, both technical and environmental, and maintaining a sustainable oil product from the healthy olives harvested. In the sales stages, there are new chemical and sensorial tests. This new adaptation helps fulfill specific needs of each and every one of our clients. The quality and safety of the packaging plant are guaranteed by the international certifications of IFS and BRC along with a commitment to the environment. All of the oil products at Oleoestepa pass chemical analysis for quality, purity and residuals, which we manage under the guidance of the specification legislation Límites Máximos de Residuos (L.M.R. ), established by the Codex Alimentarius. This certifies that the extra virgin olive oil bottled here is of excellent quality and offers a safe consumable product to the consumer. At Oleoestepa our guarantee is until the last drop. In the warehouse, the olive oil is kept under constant vigil for quality control to assure the longest consumption date possible. Oleoestepa guarantees that with proper care, the consumer will always enjoy the highest quality extra virgin olive oil unitl the consume by date. The timing of the harvest, the variety, the resulting quality of the oil and the time spent in storage are factors that determine the preferred consumption date. Two years is longest time an olive oil can maintain being extra virgin.